Comercel were seeing a number of customers coming back to them with failing motor control solutions. The soft starters they were utilising for their solutions were not up to standard, and they were concerned such failings could cost their company thousands of dollars and dearly in reputation. Needing a reliable soft starter solution to replace the failing alternative, Comercel worked with AuCom distributor Industrial Systems to source a new option. It is through this distributor that Comercel began using the AuCom Soft Starters range. Initially they were using AuCom for the few solutions that had come back to them but as time wore on, and more solutions were returning to them with soft starter problems, Comercel knew it was time to make a permanent change. Now Comercel only use the AuCom product for anything they do. Any repair or replacement part jobs that come through are fitted with a new AuCom soft starter. These are often highly time sensitive projects requiring something to be fitted and wired up in a very short space of time. The AuCom soft starters are a great solution for this as they are easy to install and commission. Comercel also use AuCom as their standard soft starter in new developments or projects they are undertaking. Comercel value the community they are a part of, the ones who have supported them right from the start. It is because of this that they have started training for their customers, helping them understand the components of their application as well as simple troubleshooting options that they can undertake themselves. 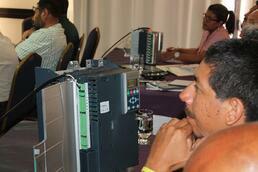 Comercel perform 2-4 trainings in San Pedro Sula and the capital city of Tegucigalpa every year. They have noticed that the more the client knows about the product, the less trouble the client has with managing their AuCom Soft Starters. 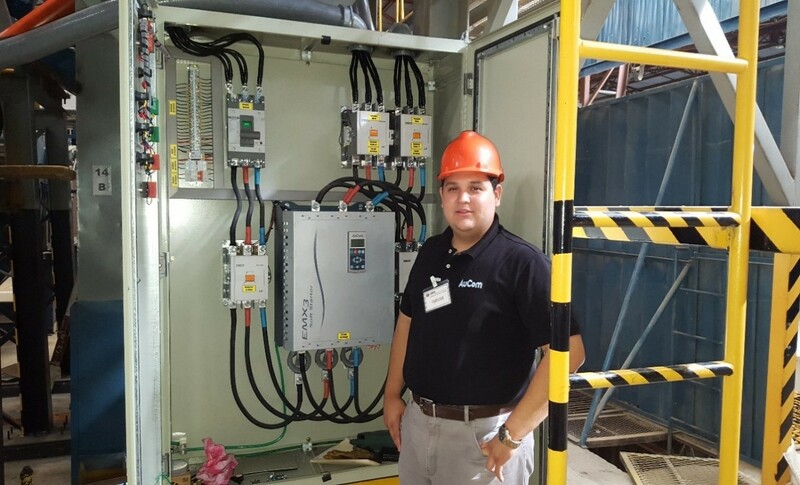 This activity helps Comercel to know more about the client’s issues on motors starting, and helps the distributor, in this case Comercel, to advise the final user on soft starter solutions. At the end of each session the clients and possible clients understand how AuCom soft starters can meet their needs.